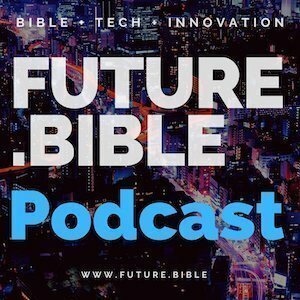 If you enjoyed this episode, please share the Future.Bible Podcast with a friend or colleague. You can catch future episodes on Apple Podcasts, Stitcher, Youtube, Google Play, Spotify, TuneIn and other podcast outlets. DJ Chuang: Thank you. Welcome to another episode of future.bible. And on our podcast we have a special guest from Christian Leadership Alliance. Her name is Tami Heim, the president and CEO of Christian Leadership Alliance and she has served in this role since 2012. And the Alliance equips and unites Christian nonprofit leaders with the focus on the business of ministry. It’s a community where leaders invest in each other by providing resources and experiences that advanced God honoring excellence in all areas of ministry stewardship. The Alliance impacts the thinking and behavior and development of over a 150,000 leaders each year and has strengthened leaders in Christ-centered nonprofits for over 40 years. Alliance leaders, while representing a wide variety of nonprofits, shared the common call to transform the world for Christ. Tami, thank you so much for making time to chat with us on future.bible. Tami Heim: Oh, it’s so good to be with you, DJ, always. DJ Chuang: And we’ve met in person as well as online here. So tell our audience a bit about the history of Christian leadership Alliance. Tami Heim: Thanks. I love the story. Well, actually it began back in 1976 and it came about when Ted Engstrom was the CEO of World Vision International. And he knew that more could be done in the area of finance for the ministry and the way that it was structured. So he hired 2 sharp accountants to come in and look over just everything about finances and then they came back and they said, “well, we think we could help you”. And Ted, because he was a man of excellence, said “do what you need to do”, and the results of their work was really considered catalytic because all of a sudden now they had financial systems and reporting that would really make the case for the transformation that they were creating around the world and it became so much more compelling to major donors and investors and so it gave added fuel to the ministry which enabled them to just do even more work around the world. Tami Heim: Well, Ted was so inspired by the work of these accountants, he said, “you know, you need to go tell others, you know, go tell it on the mountain if you will”. And so they gathered a 20 CFO types from major nonprofit ministries and they met in a room and for three days they shared best practices. They said, “here’s how we do this, here’s how what we’re learning and what we’re discovering”. And that was the very first meeting or conference, if you will, for what is today Christian Leadership Alliance. And then over this time we’re going to be holding our 43rd annual conference in April of ’19. But, it expanded and so the vision for here’s what we’re doing in finance really reached into all of the operational business areas of the ministry. And so today instead of one track and finance, we now have eight and we bring leaders together in the exact same way so that they can invest in each other, they can sell, they can share best practices. And what I love is for those three days, people leave their egos and their logos at the door and they said, “were going to give the best of what we know open-handedly, just to strengthen the kingdom impact of the whole body”, because we recognize not one ministry can do all and accomplish all the need that is in the world. So it’s this beautiful coming together and Christian Leadership Alliance, we create the spaces and the places for this wisdom exchange to take place. So, and we’ve continued to do it and we’ve had ministries that have been with us from the very beginning, and we serve a wide variety and it’s just a joy to see them connect, collaborate, network, be spiritually inspired and encouraged and grow as Christ centered leaders influencing the world today. DJ Chuang: Iron sharpening iron in collaborating, in having a spiritual fellowship together. And you might say there’s distinctives in how business is done in ministry versus just business in the general marketplace. Tami Heim: Yes. That’s such a good point. The distinctive really is, is that we’re approaching operational excellence from a Biblical worldview. So we’re stewarding the way God would design. You know, you mentioned iron, sharpen iron and that such an important proverb, but I also love 1 Corinthians 12:4 through 7 where Paul is just talking and he’s talking about different kinds of spiritual gifts, but the same spirit, he’s talking about different kinds of service but the same Lord and that God is working in all of them. And it’s spiritual gifts are given to everyone at there for the profit of all, you know, for the common good depending on, the translation that you’re reading. But this idea that we’re all unique and we’re different, but what God gives us is never just for us, it’s for the whole body. And you know, when I read that scripture, I just feel like it captures the essence of Christian leadership Alliance. DJ Chuang: And you’re applying it beyond just one organization or one local church, which is where most of the time that passage is taught in your thinking about the entire kingdom of God, entire body of Christ. And you have participants, Alliance members that come from around the world. So. Tami Heim: Yes, we do. I always love it because when we’re together at the conference, they always make a point in saying, “you’ve got to come to my country and you’ve got to do that” and you know, God is awakening a new vision for the Alliance and what it does really mean if we could resource leaders around the world. And so I’m looking forward to the day that I’ll be able to say “yes, we’re coming”. DJ Chuang: That’s certainly something we can pray about and dream about. Let’s see how the spirit moves. And we’ve been very grateful to be in partnership and a participant of the Christian Leadership Alliance through some online efforts and just receiving your resources as well as being an attendant participant at the outcomes conferences. And we also have a partnership that we established through a .Bible domain name, which is Leadership.Bible. So tell us a bit about how, what compelled the Alliance to acquire Leadership.Bible and how are you using it? Tami Heim: Well, first of all, I was so extremely energized about the idea of the domain .Bible That there would be this concrete place where .Bible would be present in the world and that ministries could align around that and have that association. Now, some people may say, well, I don’t know, Bible, you know, being Christian isn’t so popular in some spheres of influence and all that, but I think for ministries to be able to take a stand and said, you’re standing on God’s word and we believe in the Bible and, we want that reflected in what we’ve been called to do. So for us, Leadership.Bible was just that perfect coming together again at the distinctive. What does Biblical leadership look like in the world today and specifically in the area of nonprofit ministry. And when we first started out, we use that location to showcase equipping around, you know, the business of ministry. Tami Heim: And then as time evolved we realized well, there’s a transformational impact and there’s excellence that occurs when we are skilled in the disciplines we need to steward the business of ministry. But when we’re talking about a leader and we’re talking about the heart of a leader, that transformation happens on the inside, and so there’s the operating system to run the ministry. But what’s the operating system of the heart? So as we began our journey with Leadership.Bible, we made a change and we created what we call, the Outcomes Leadership Core, our members, members of the Alliance. When we did a qualitative and quantitative study of what was important to them, there were four things that just came immediately to the top and one of those four things they said, “we want to be leaders that lead like Christ”. We want our leadership to look like Jesus. Tami Heim: And so we took their words and then imagined, a way that we could take them on a pathway where they could get secure in their identity, that they could integrate the practices of Christ in their everyday leadership. That they would be immersed in the habits and the behaviors of Jesus. And how did that translate today and that we would provide a way that we could give them ongoing inspiration. They’re constantly being fed and encouraged along that pathway. And so for me, when we made that shift, I feel like we really landed where we needed to be, with the honor of, having Leadership.Bible within the Alliance. DJ Chuang: Thank you for leading the way on how leadership can be Biblical personally as well as which spills over organizationally. Now, if someone’s interested in experiencing this leadership transformational leadership experience, how would they connect in and is it a membership or a sign up? Tami Heim: Well, it’s super easy. I mean, anyone obviously would go to www.leadership.bible and they would see the outcomes leadership core. Obviously you can find that in the menu of different kinds of programs. I mean at Christian Leadership Alliance, we have web based learning, we have live events and then we have what are more like transformational programs. And I would say that’s where someone goes in one door and they leave the other, completing a body of the work that will substantially shaped the way they think, behave and develop an influence others. And so outcomes leadership core, which is featured on Leadership Dot Bible is that internal heart program. Now obviously there’s a benefit if you’re a member of the Alliance, you know, some of the resources and those experiences come at a discount, a discounted anyone’s welcome to take advantage of them, but there’s certainly member benefit if you do, and the pathways are all mapped out on there and loved people, you know, agreeing to take that journey because we know that they’re doing the deep work when they go to .Bible. DJ Chuang: Okay. Can you describe concretely what the program and pathway and experience looks like or feels like what is, what is the homework that people have to do? Tami Heim: Well, if you go into the pathway, the first is the identity and so what we provide people there is a Biblical disc. Now a disc assessment is something, you know, that’s very common both in the marketplace and even in Christian culture, but we take them on a journey where they do a Biblical disc and they get a 42 page report and then the coaching and the support and it really helps them look at their leadership and if you will, how does that compare to Christ leadership? What are some of the gaps there? And then, helps people imagine if I were a character in scripture, you know, if I was one of those leaders in that time, who would I look the most like. Those through the things that you would imagine a disk would normally do. So you just, you know, understand your tendencies and how you’re wired and your design. Again, you know, I mean scripture teaches us that we were formed in our mother’s womb and that God knew and he designed all that. Tami Heim: So we know that there’s a uniqueness that when we surrender that to Christ, then it can flourish in a way that it helps accomplish his master plan for redemption. And so phase one is like, who am I in Christ? Second part of the step is really about integration and like how are you setting? So it’s the study of Jesus as the role model. So we partnered with, Faith Walk Ministries and Lead Like Jesus to go through that content and it really helps make the case. Like why would I think out of all the role models in the world today, Jesus would be the best role model. So it breaks down that understanding and then it goes into the behaviors and the patterns of Christ. So for many that integration is kind of like this discipleship journey where there’s reading and there’s workbooks and then there’s an online course called The Heart of the Leader, which is a 10 week study that’s done in community with other leaders. Tami Heim: And then from there it’s immersion and immersion includes a Lead Like Jesus encounter, which is 10 concentrated hours in a room really going even deeper personally and in community. And then there’s also an online companion, which again is a 10 week study. So the intention of immersion is just fully integrated. So I’m just thinking about it all the way around and I’m doing it in small group and community, which we know that when we’re sharing and we’re unpacking together, it has a more profound impact on who we are. And then inspiration is really just the ability to sign up for regular devotions and blogs and posts that remind them, you know, these are the patterns, this is how you think, this is the heart, these are the habits. And these are how we lead others well when we’re leading like Christ because like anything, we need lots of remembering. I mean we need to remember lots of things. I mean, think of how many times there are themes in scripture reported over and over again. And I always say that the more it appears in scripture, it’s directly proportional to our need to understand it. So God said to tell you this this many times because I know you need it. So constant reminder and inspiration is definitely part of the pathway. So those are the tops. DJ Chuang: Very good. Thank you for detailing that. And so people can see what that path looks like. So there’s assessment and then there’s online and offline learning in an online group. And the third one immersion. So, is immersion like residency where people have to travel to be in that small group? Tami Heim: In some cases, well there’s digitally where they are so they can travel anywhere and still be present to the content that’s being presented, where they actually physically go to wherever the encounters are being hosted and it’s really a two day experience. But I think that those are, there’s something about the in real life encounter that happens quickly, like the 10 hour online class or 10 weeks, that’s an hour. I mean there’s five sessions and you kind of get on when you can make that fit, but when you are committed to a time for two days with others that are dedicated and longing to learn to lead like Christ, it just changes everything. DJ Chuang: Very much so. In person interaction has a whole another dimension that video and live and two dimensional things doesn’t have very good. Glad you incorporated that. And then the ongoing flow of reminders the Bible tells us, remember to remember to remember to remember it. Great. All right, wonderful. So what is the vision for the future of Christian Leadership Alliance? Tami Heim: As we look to the future and the Alliance, yes, it’s basically existed, this’ll be, we’re entering our 43rd year and we have served some of the largest, most impactful ministries right in the world today. And when I say we, I’m saying we as the collective Alliance, it’s not like an administrative staff, but these leaders have invested in each other and you know, we’ve felt a deep level of conviction mean there’s about 1200 different ministries represented within the Alliance. There’s 84,700 face based nonprofits in the world. So God is inspired a bigger dream that you know, need to be the light on the lamp stand. One of the things that we know is every 24 months or every 12 months, there’s about 2,400 nonprofits that will cease to exist. And we think it’s not that they don’t have a big vision, they just don’t have the competency. Tami Heim: So there’s enormous competency gap among all of these, but you have leaders that are hungry to make a difference. So based on all of these years of experiences, the success of the ministries that have invested in each other, it’s time to enlarge the ecosystem. So the vision is, you know, one day instead of resourcing 150,000 leaders a day, or a year that we’d be resourcing over a million leaders every year that we would grow and that we would,you know, the content and the thinking that’s being curated within the Alliance would be richer because it would be more diverse, whether it’s gender, ethnicity or generationally, and that there’s so much more, but we need to break through and grow. So we need to prepare for that growth and the way that we track and care for members. We need to upgrade our delivery systems so that we have more control, that we can deliver content to people when they want it, how they want it in a sense that we have to to be relevant at all times. Tami Heim: And then from a marketing perspective, how do we break through those that know us to reach those that don’t, so that we can train and resource. But really in the end, we just want to push out and see more Christ centered nonprofits received the training they need so that they can fulfill, again, their part in this master redemption plan. So, it signaling a big change, you know, and we would like to accomplish all that foundational work in the next three years and then the following three years, really talk about what does the global footprint look like. If we establish our networks and you know, our process and the things that we do. Like I said, there’s so many people around the world that would want access to them. We would pursue that in the following three years. So it’s an exciting time and it’s resetting the Alliance to really serve and equip the next generation. DJ Chuang: Fantastic. What a wonderful vision. Hope that we can participate in some additional ways for the next generation. And we’re here at Future.Bible we’re concerned about the future as well. And we have an opportunity to be together in person this April. So tell us about the outcomes conference and we will invite our listeners to join us there. We would, our .Bible team would love to interact with our listeners too. Tami Heim: This is that this is a special year for us. Again, the event is going to be held on April 16th through the 18th, in Dallas, Texas. Will be at the Hyatt Regency downtown. It’s a three day event, the first day, and this is new, we’re going to focus primarily on the leadership of everyone and so we have nine dynamic speakers that are going to be addressing the theme is Routed. So we’re going to talk about what does it mean to be routed in Christ, what does it mean to be routed in relationships and partnerships and connecting to the next generation and being men and women serving together in ministries. What does it mean to be routed in a way that we are interacting with churches and marketplace to transform cities? So it’s really exploding the whole idea of what happens when we’re properly routed and how does that flourishing spread everywhere. Tami Heim: So we’re going to focus on the leadership of everyone on that first day and then we’ll divide into the eight different tracks so people can go into their areas of expertise and learn what are the most recent trends, what are some of the emerging best practices, and how can they share and collaborate? Now, why this is special this year is that it falls in Holy Week. Say, “wow, you’re going to do that”. But we would not exist, our unifying goal and mission would not be what it is if it was not for everything that happened in that Holy Week. Right? So we think this is a unifying point in time and our prayer as we’ve surrendered every bit of the conference to the Holy Spirit to have His way with it is that those that come and attend, that their heart will be more ready and more present to the significance of Holy Week and how that relates to their ministry and what God has called them to do than they’ve ever been before. Tami Heim: So there will be, it’ll be a solemn celebration, as we’re equipping, but also praying for one another, and just seeking all that God wants to accomplish through us. DJ Chuang: What a wonderful experience. Participating in Holy Week with fellow like minded leaders. Tami Heim: So yes, and it’s been amazing as we’ve just watched God, we’ve, you know, we pray and he gives us the framework and we begin to work with it. But as we get closer to the event, we just see Him unfolding. And we’re excited this year we actually have the crew from the Jesus Film that travels all over the world are actually doing the production for us this year. So there’s just a lot of nuances this year that I think will make it one of the most memorable gatherings in Christian Leadership Alliance history. So we’re excited and people can learn about it at www.outcomesconference.com. And you know, we just invite everyone to come and experience. Great professional development, collaboration and building community with other likeminded leaders, being personally encouraged. And then of course, getting that training so that the leadership more closely reflects Jesus. DJ Chuang: Amen. That URL again, outcomesconference.com. And someone wants to reach out to you, Tammy, what’s the easiest, best way to do that? Tami Heim: They can reach me at tami.heim@christianleadershipalliance.org. Now I know that’s a lot to write in there, but you know,it would be worth it. And if there’s anybody that wants to know more about Christian Leadership Alliance, you know, I encourage them to contact us. You know, our traditional website is www.christianleadershipalliance.org, and they can learn an of lot about what we do and every once in a while. DJ Chuang: You have a ton of content and I’ll know who’s done the math, but if someone were to read every word on that website, it might take about a year or two years. Tami Heim: Well, and you know, last year we published 692,000 verifiable equipping encounters. So you’re right, there’s just so much content that we are um, publishing because again, our heart is, is we just want people to have the resources that they need and the knowledge that they need, so that they can be faithful to do what God’s asked them to do. DJ Chuang: Thank you Tami and your whole team for doing all the good work that you’re doing. And the Lord bless you. DJ Chuang: And to our listeners, thank you for joining us for another episode of Future.Bible. Will add show notes to all the links that were mentioned as well as easy way. You can just click and email her and type all that out. And you get the right spelling and we’ll see you next time. And until then, you’re blessed to be a blessing. Bye. 04:06 coming together and Christian Leadership Alliance, we create the spaces and the places for this wisdom exchange to take place. So, and we’ve continued to do it and we’ve had ministries that have been with us from the very beginning, and we serve a wide variety and it’s just a joy to see them connect, collaborate, network, be spiritually inspired and encouraged and grow as Christ centered leaders influencing the world today. 08:25 there’s a transformational impact and there’s excellence that occurs when we are skilled in the disciplines we need to steward the business of ministry. But when we’re talking about a leader and we’re talking about the heart of a leader, that transformation happens on the inside, and so there’s the operating system to run the ministry. But what’s the operating system of the heart? So as we began our journey with Leadership.Bible, we made a change and we created what we call, the Outcomes Leadership Core, our members, members of the Alliance. When we did a qualitative and quantitative study of what was important to them, there were four things that just came immediately to the top and one of those four things they said, “we want to be leaders that lead like Christ”. We want our leadership to look like Jesus. 11:52 if you go into the pathway, the first is the identity and so what we provide people there is a Biblical disc. Now a disc assessment is something, you know, that’s very common both in the marketplace and even in Christian culture, but we take them on a journey where they do a Biblical disc and they get a 42 page report and then the coaching and the support and it really helps them look at their leadership and if you will, how does that compare to Christ leadership? What are some of the gaps there? And then, helps people imagine if I were a character in scripture, you know, if I was one of those leaders in that time, who would I look the most like. Those through the things that you would imagine a disk would normally do. So you just, you know, understand your tendencies and how you’re wired and your design. Again, you know, I mean scripture teaches us that we were formed in our mother’s womb and that God knew and he designed all that. 17:05 As we look to the future and the Alliance, yes, it’s basically existed, this’ll be, we’re entering our 43rd year and we have served some of the largest, most impactful ministries right in the world today. And when I say we, I’m saying we as the collective alliance, it’s not like an administrative staff, but these leaders have invested in each other and you know, we’ve felt a deep level of conviction mean there’s about 1200 different ministries represented within the alliance. There’s 84,700 face based nonprofits in the world. So God is inspired a bigger dream that you know, need to be the light on the lamp stand. One of the things that we know is every 24 months or every 12 months, there’s about 2,400 nonprofits that will cease to exist. And we think it’s not that they don’t have a big vision, they just don’t have the competency.